Specialist in Neurology. Central University, Caracas (Venezuela), 1996. PhD Degree, in Neurology. Central University, Caracas (Venezuela), 1996. Digital electroencephalography, Hospital Universitario de Caracas and University of Minnesota, Minneapolis. Dept. of Neurology, 1996. Post-Doctoral Fellowship in Movement Disorders. Hospital Clínico de Barcelona, 1998. 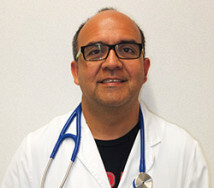 Head of the Parkinson Unit at Consorci Sanitari de Terrassa, 2013.